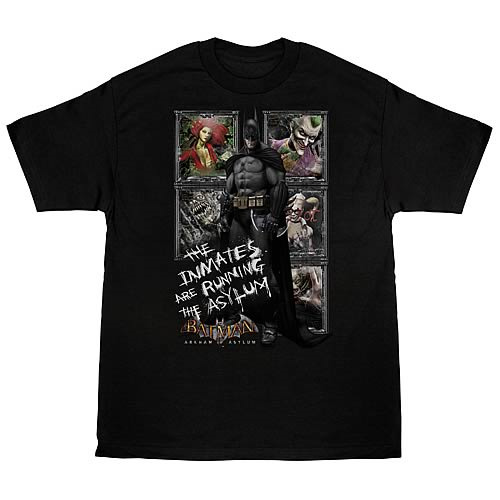 The Batman Arkham Asylum Running the Asylum T-Shirt is based on designs from the smash video game Arkham Asylum. This high-quality, 100% pre-shrunk cotton, black T-shirt lets the world know exactly who's in charge! Machine washable and available in sizes S, M, L, XL, and XXL, it says: "The Inmates Are Running the Asylum." Order yours today!